Love Money? Then This Position is Perfect for You! I’ll admit, as the VP of Finance, I don’t get a ton of people lining up wanting to take over my position next year. As the previous VP of Finance before me said, “I’m lucky to have at least one member interested.” Of course, maybe the idea of handling all of the Chapter’s funds and working with spreadsheets scares a lot of PR students who are stereotypically great at writing and… not so great with numbers. Myth #1: You need to be good at math to be the next VP of Finance. Are you able to use a calculator correctly? If yes, then that makes you qualified to be PRSSA’s next money manager! Essentially, all you have to do is add and subtract from the total budget whenever money is deposited or withdrawn. The math is very simple- you won’t be needing any advanced calculus courses to do this job well! Myth #2: Excel is scary. Numbers are scary. Everything about being the VP of Finance is scary. Although I do admit I don’t necessarily think this is true because of my business background, nothing about this position is scary. It can be challenging, but I would argue that any job out there will have its challenges. If you know how to stay organized and are willing to learn specific analytical skills required for this role, like Excel, nothing will be scary. Myth #3: This position is a huge snooze. Yes, finance may not seem as exciting as the other positions on the Executive Board, but it will definitely keep you on your toes. You’ll be required to allocate funds to each board member at the beginning of each year when you establish the Chapter budget, so you’ll need to know a little bit about how each position operates. You’ll be getting visits from board members for help with anything money-related, and it is your job to consult them on what to do financially. This position is anything but boring! People will value your input, so expect to be involved in a lot of the logistics within PRSSA. Bottom line, being the next VP of Finance has a lot of growth potential, especially in your ability to think logically. After all, you are the backbone of the whole organization. 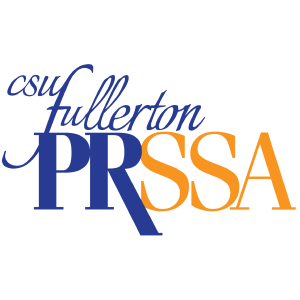 If there’s no money, there’s no PRSSA! You’ll call the shots on how much money we should spend and what items to cut, so it does come with a little bit of power. You don’t need to have a lot of financial experience; you just need to be interested in finances. By the end of the year, you’ll be a pro at budgeting, which you can apply to your resume and even your personal life. You’ll be able to say that you were fiscally responsible for a nationally recognized organization that consisted of over 200 members. Also, the joy you give someone after giving them their $300 reimbursement is priceless. How many other Executive Board members have that opportunity? https://i2.wp.com/csufprssa.org/wp-content/uploads/2017/08/Board-23.jpg?fit=4000%2C2667&ssl=1 2667 4000 csufprssa https://csufprssa.org/wp-content/uploads/2017/12/Avatar-300x300.png csufprssa2017-12-31 17:38:252017-12-31 17:38:25Love Money? Then This Position is Perfect for You!